In order to promote and to increase the awareness of the public about Dagupan City’s tourism program, the official Dagupan City Tourism Website (www.dagupantourism.com) was launched during the celebration of Agew na Dagupan last June 20, 2011. The Dagupan City Tourism Office has invited local netizens to participate in the first Dagupan Tweetup and Website launching ceremony. 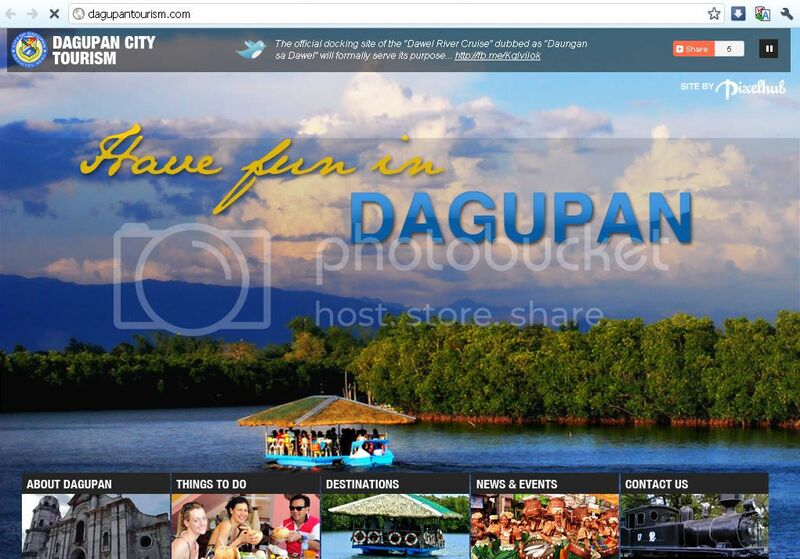 To visit the official Dagupan City tourism website, go to www.dagupantourism.com. You can also to spread this URL (www.dagupantourism.com) on social networking sites (Facebook, Twitter, Plurk, etc) and use on twitter the following hashtags: #AgewNaDagupan, #DaguFUN and #DawelRiverCruise.